Do you know that according to a study conducted by Harvard Medical School, unlike factors such as genetics & age, which we cannot control, eating some specific foods while completely avoiding some food from our diet can have a direct effect on increasing our fertility? Yes, you heard it right! The secret to fertility lies mostly in the type of food we eat. So if you are serious about improving your fertility it is high time that you should start with a diet that boosts your fertility. 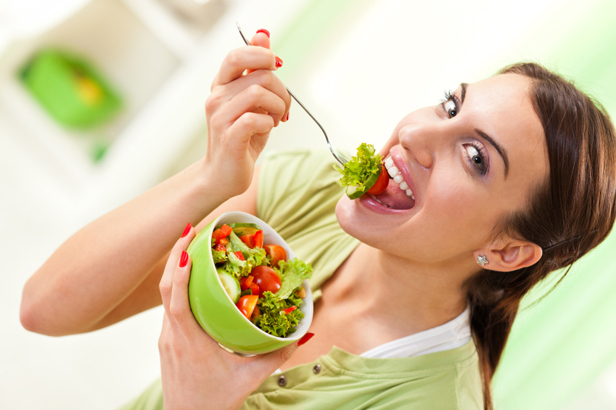 Herein we have discussed a wonder diet which has been proven to boost the ovulatory function. Now you must be wondering – what’s a ‘Good Carb’? And if there’s a ‘Good Carb’ there ought to be ‘Bad Carbs’ right? Absolutely! There are ‘Good Carbs’ and ‘Bad Carbs’. ‘Good Carbohydrates’ or ‘Good Carbs’ are foods that contain a wholesome amount of fiber. These include most whole grains, fruits, green veggies, and beans, etc. While, ‘Bad Carbs’ include food that we get hooked on to such as cookies, cakes, pastries, white bread, and white rice! Since the ‘Good Carbs’ are digested slowly in our body, the nutrition derived from digesting these fiber-rich foods helps in vitalizing our key internal organs including nourishing our reproductive system. It has been found through studies that “a spike in insulin level appears to inhibit the process of ovulation”. ‘Bad Carbs’ on the other hand tend to digest faster and turns in blood sugar which results in more insulin secretion which may result in inhibition of the ovulatory process. So if you’re facing hardship in conceiving it might just be your food that’s responsible. Analyze your diet and start eating ‘Good Carbs’. Trans Fats, short for ‘trans-unsaturated fatty acids’ are present in commercially baked foods, snacks, fast foods, most animal products, and even in margarine and French fries too! Consuming Trans fats results in ‘insulin resistance’. One of the chief functions of Insulin is to move glucose away from the bloodstream into the cells. But as the body gradually resists insulin it is harder to get glucose to move away from the bloodstream into the cells. As a result, our Pancreas keeps on producing more and more insulin in the body. High insulin level can cause metabolic disturbance and interferes with the process of ovulation. So be on guard before munching your favorite baked snacks. Yes, you read it right! A Harvard School of Public Health study has categorically mentioned that “the more low-fat dairy products in a woman's diet, the more trouble she had getting pregnant.” This leads us to infer that “the more full-fat dairy products a woman eats, the less likely she would have trouble in conceiving.” Full-Fat dairy products are whole milk, cheese, yogurt, and butter. Another study by the European Association for the Study of Diabetes (EASD) has found that eating ‘full-fat’ dairy products can reduce diabetes which of course is a deterrent to fertility in females as discussed above. Wondering which food will give you a daily boost of folic acid to keep your ovulatory process in perfect shape? Well, here are some of these – Lentils, Fresh spinach, Oranges, Asparagus, Kidney beans, Broccoli, Sunflower seeds, Avocados, Tomato juice and many more. Aren’t these wonderful? Now coming over to Iron and here too you’ll be amazed to know the variety of food and tastes you can savor every day without putting your fertility in risk. Here are some Iron-rich foods for you – prune (juice), beans (red, white, black all types of beans), and pumpkin seeds (can be dried/ roasted and eaten as snacks), spinach (cooked), iron-fortified cereals (most breakfast cereals like corn flakes and oats) etc. There’s a whole lot of other locally available and seasonal veggies and fruits you can include in your diet to stay fertile and healthy. For that, you should consult a reproductive medicine specialist who can guide you with a proper plan of action and diet will play a key role. Eating the right type of food is crucial to increasing fertility. So look at your present diet, consult a reproductive medicine specialist to plan your pregnancy better, and modify your diet as advised by the doctor and start adopting a healthy food habit to boost your fertility. For more fertility tips stay connected to Genome The Fertility Centre - Blog.